Welcome to this weeks Watercooler Wednesday Challenge. 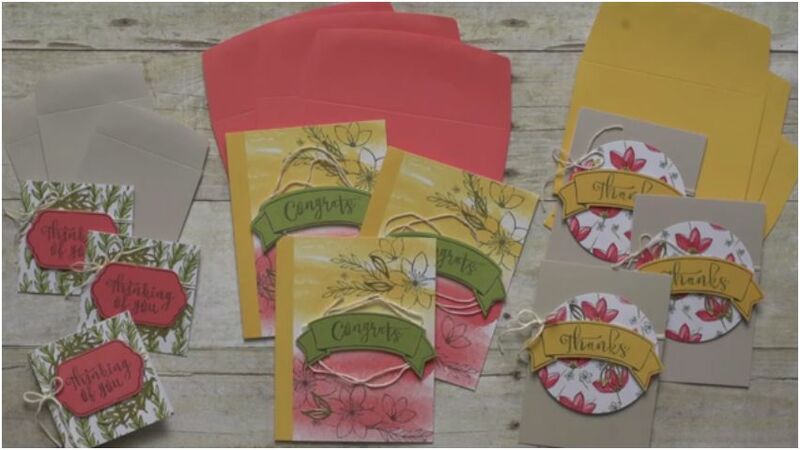 As you might have guessed by the title I decided to play with the Grateful Bunch Bundle that first appeared in the 2016 Occasions Catalog and whose components (punch and stamp set) are available as individual components in the new 2016-2017 Annual Catalog from Stampin’ Up! He’s a real upbeat kind of guy who’s always positive, life affirming, big on nutrition and yoga and other forms of creative living. One who gives as easily as he receives…or so it seems to me. He even gets up with his little ‘uns when they have a sleepless night (now that’s my idea of a dad). I’m hoping this box of cards will reflect all that. 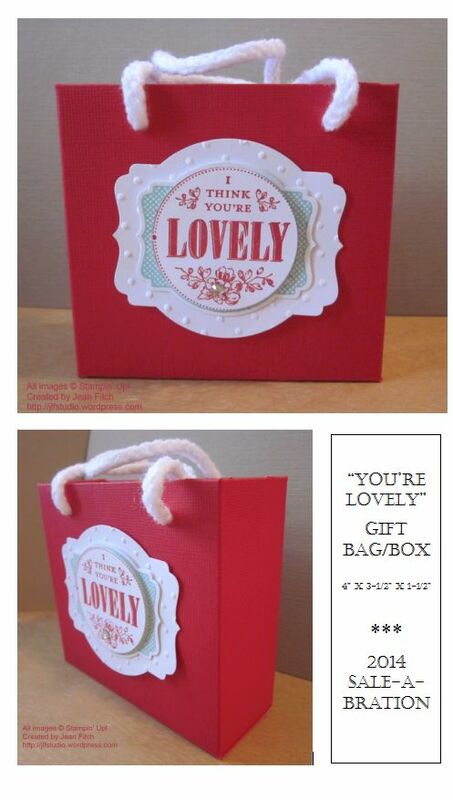 As you can see I kept the card fairly simple but reflective of the box design. Perfect don’t you think for a coworker who goes above and beyond? 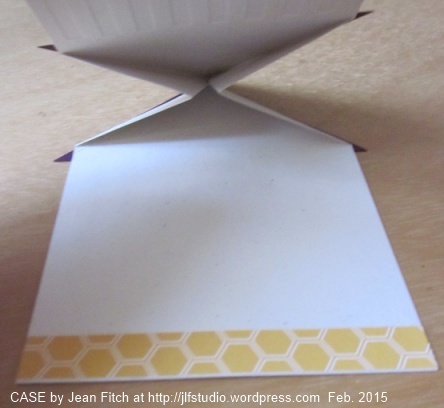 One of the lovely things about a 4 1/2″ square card is that it also fits in a standard envelope. Saves on postage if mailed. Note: Several of the items listed are retired as of today. Sorry about that but at the time of creation they were still active so naturally my hands reached for the things I love! Paper: Mossy Meadow (retired In Color), Watermelon Wonder, Tip Top Taupe, Very Vanilla and Vellum Cardstock & Timeless Elegance Designer Series Paper (retired). Tools & Adhesives: Big Shot, Brick Embossing Folder, Simpy Scored, Paper Snips, Bone Folder, Tear n’ Tape, Dimensionals, Glue Dots, SNAIL. Fairly straight forward construction details. The Simply Scored scoring tool is perfect for box construction as well as scoring cards for folding. So many uses it’s a required tool in my studio that’s for sure. Box was created in the same old fashioned way I outlined in this post. 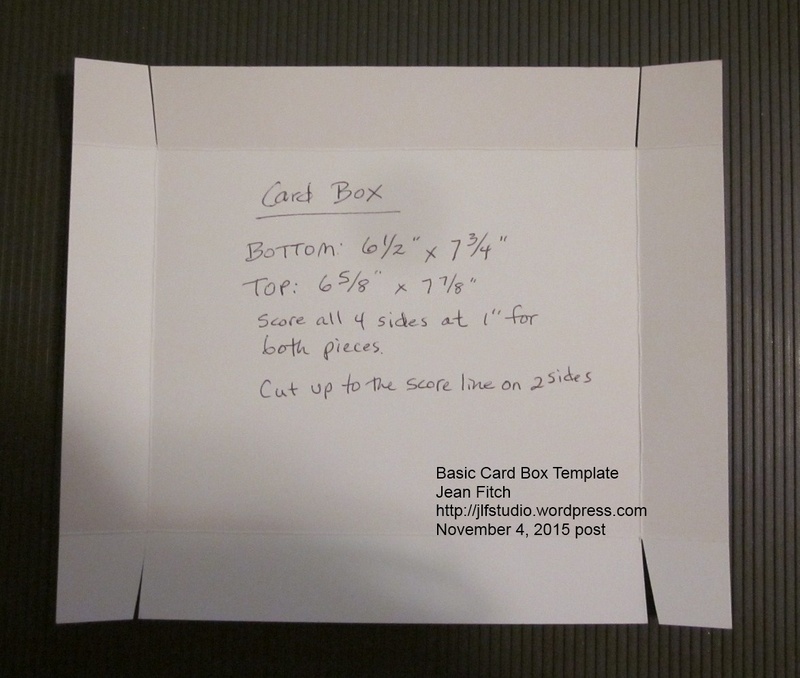 Creates a 5″ square box to hold my 4-1/2″ square cards and slightly bigger envelopes. Score at 1″ along all four sides for each piece. Snip up to score line on both corners on opposite sides. Add pieces of Tear n’ Tape to the corners and fold to the inside. Burnish with bone folder to activate the adhesive to its strongest stick. Brick embossed layer – 4-3/4″ square – Stamp leaf stem image in Mossy Meadow on Tip Top Taupe then emboss using Big Shot and the Brick folder. DSP strip: 1-1/4″ – cut at 7-1/2″ and adhered from center of box with ends cut to measure after adhered to box. Sentiment layer: 2″ x3″ Corner rounded and stamped in Mossy Meadow with Trust God sentiment. Scrap Vanilla: Stamp sentiment from Grateful Bunch in Mossy Meadow ink and punch with oval punch. Sponge edges with sponge dauber and Mossy Meadow ink. Adhere to Mossy Meadow Scallop Oval punched piece. Hopefully the full assembly is easy to see from the pictures of the finished project. That’s it for this challenge. To see the rest of the design teams Sketch Challenge contributions head on over to the Challenge blog website here. That’s also where you can add your own creation with the linky doodad. When you add your own design and there are more than three entries, one of you will be a challenge winner or runner up and have the option to place our new badges on your own site. Of course…you’ll also win bragging rights! Check here to see the winner of last weeks challenge. And here to see all the other linky and Artist Team entries. Check the challenge site for rules on competing for future challenges. I really hope you will add your own creations this week. Really…this challenge is an fun one. After all the design layout is done for you. 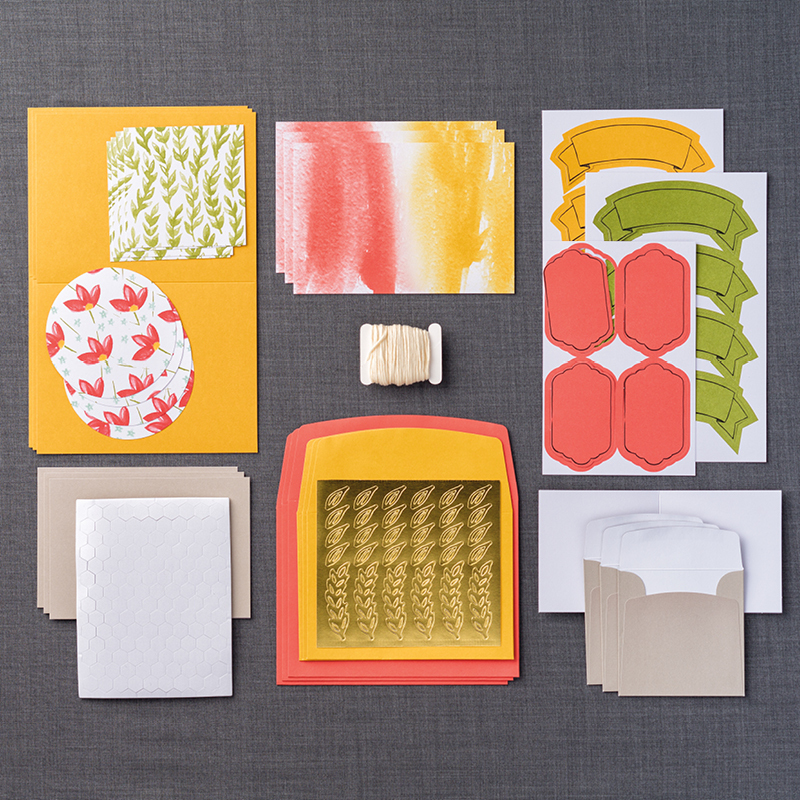 All you have to do is grab your colors and stamps and get creating! I hope you’ll join us next Wednesday for yet another Watercooler Wednesday Challenge. Welcome to this weeks Watercooler Wednesday Challenge. Jackie threw us another fun sketch to play with this week. Since Jackie’s Sketch was the perfect jumping off point for my design as viewed from the top my mind renamed it – 3D Paper Pumpkin meets Jackie’s sketch. Here’s a close up of the butterfly detail. I used some bits from the gold leaves to make the antennae and body highlight of the butterfly. Much as I liked the sentiments in the kits set I needed something a tad smaller that allowed me to place the words on the somewhat narrower banner strip. I turned to Sheltering Tree. Another photopolymer set that can be curved on the block and fit perfectly. I did use the Basic Gray ink that came in the kit. In person it gives the images a lovely soft look. I love that Stampin’ Up often offers refills for the none stamp and ink components of the kits available for a remarkably low price. Everything but the stamps and ink spot for $8.00 here in the States. Not bad for 9 cards and envelopes right? Of course they are only available while supplies last. You can see the various past kit refills here. Add a few more bits from your stash and you’ll be able to get way more cards than that from the components. I’ve been tracking lots of other stampers alternate creations on my Paper Pumpkin Pinterest Board here. 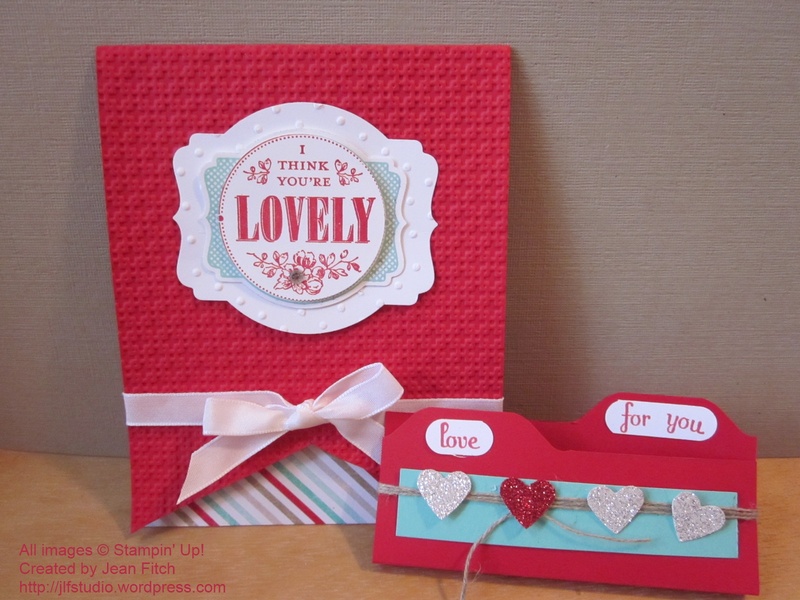 And if you want to see the kit in action you can view Stampin’ Up’s video about the kit here. I’ll be sharing various and variations on card designs from the kit over the next little while as I find the time to play with all the bits and pieces. Of course if you want to get signed up with Paper Pumpkin in time for the November Kit you can do that here. Just make sure you do it on or before November 10th unless you want to wait yet another month to get in on the fun of Paper Pumpkin. 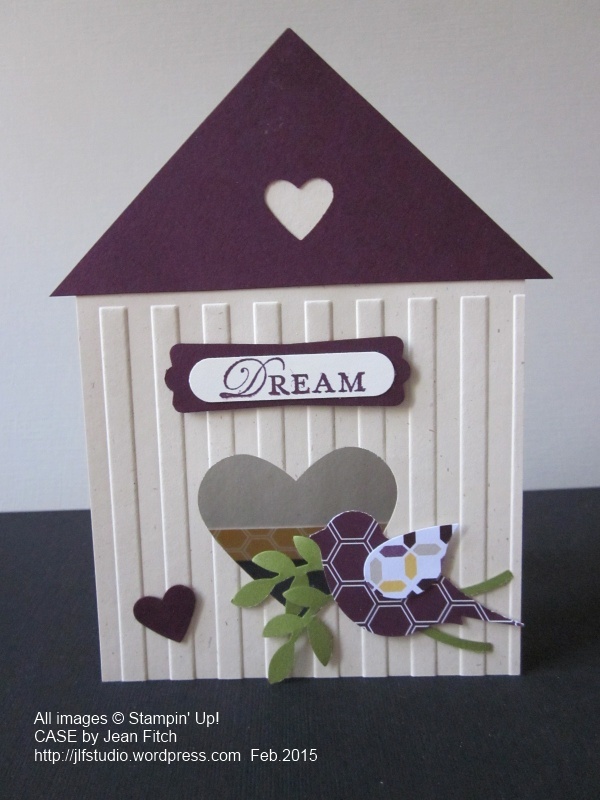 Each month it’s a new and different kit with stamps, ink and the pieces to make a variety of cards, tags and occasionally something a bit more 3D as well. More details are available on the Pumpkin site so make sure to click the link above. Paper: Calypso Coral, Sahara Sand & Vellum Cardstock. 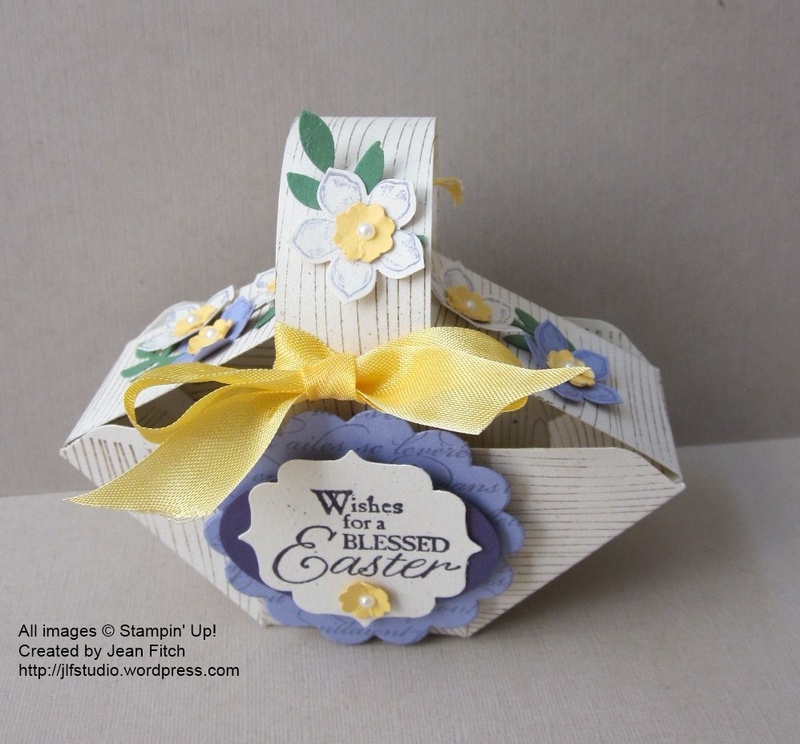 Papers and elements from the October 2015 Paper Pumpkin Kit. The card box is really easy and perhaps old school in this day of special boards and dies. Two sets of measurements. One piece for creating the top and one piece for creating the bottom of the box. After you score each piece at 1″ on all four sides you’ll want to use your bone folder to crease and fold on all the score lines (do each side separately). Then cut two slits up from the bottom to the crossing score line on both of the longer sides on both pieces. Place Tear and Tape on both smaller tabs and fit into the long side. Here’s a basic template. Click on the picture to see a larger view. If you look in the lower right hand corner you can see where the tab fit into the longer side. As you may be able to tell, the top (on the right) is just a slight bit larger than the bottom for an easy fit. That’s it for this challenge. 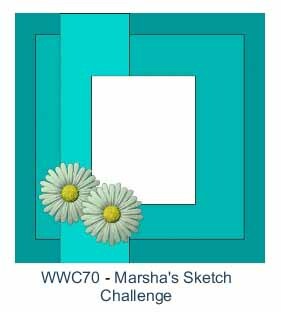 To see the rest of the design teams creations from Jackie’s Sketch Challenge head on over to the Challenge blog website here. That’s also where you can add your own creation with the linky doodad. When you add your own design and there are more than three entries, one of you will be a challenge winner or runner up and have the option to place our new badges on your own site. Of course…you’ll also win bragging rights! We had 5 wonderful linky posts this last time so there is a winner and a runner up for the last challenge. Check out our winners here. And check this post out so you can see the wonderful additions by all the challenge participants. Check the challenge site for rules on competing for future challenges. Hugs and Blessings to all my challenge friends and readers. 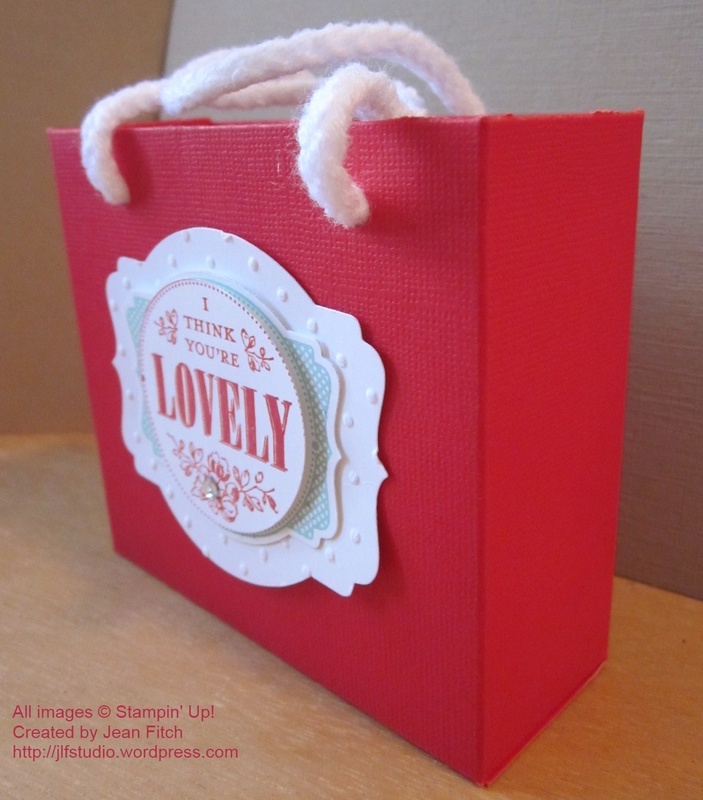 Creative Blog Hop continuing…one post at a time. Greetings and welcome to another edition of the ongoing and ever active Creative Blog Hop. Not your usual blog hop format as each week a blogger posts a project, answers 4 specific questions about their artistic process and has also invited a couple more artists to join in a set of follow on posts a week later. A sort of creative chain of posts that appear one at a time in a variety of branching chains but without a long menu of participants at any one time. You can follow the chain back by clicking on each link from the post the week before and discover a wonderful new set of blogs and projects to inspire you. The hop is not confined to any one companies product though if you know me well you know that I’ll be using my beloved Stampin’ Up! products. Lots of CASEing possibilities on the hop as you follow along. My thanks to my dear friend Miss Marsha Reed who hails from Iowa with her Coffee Pot Stamping Cafe Blog. Here’s the link to her Creative Hop Post that I’m honored to follow. Here’s my project…a CASE (copy and share everything) from another wonderful stamper Jackie Topa. You can see Jackie’s original post (and a smashing video that gives all the details) here. February is the month for hearts and not just because Valentine’s Day falls within its scope. Winter is half done (in most parts of the country – lol) and the fires of life, love and a wish for Spring come springing up (yep…that pun was intentional). The perfect month for dreams of every sort. I found the Stampin’ Up! small paper stack “Moonlight” the perfect expression of that feeling with its warm and vibrant colors with coordinating patterns on both sides of the paper sheet. If you are not feeling quite so “heartfelt” here’s another simpler version. You can send as is or add a sentiment when the card is ready to send and you have a better handle on the sentiment required. Paper: Natural’s Ivory (3-3/4” x 11”), Blackberry Bliss, Old Olive Cardstock (3”x 3”), Moonlight Designer Series Paper Stack. 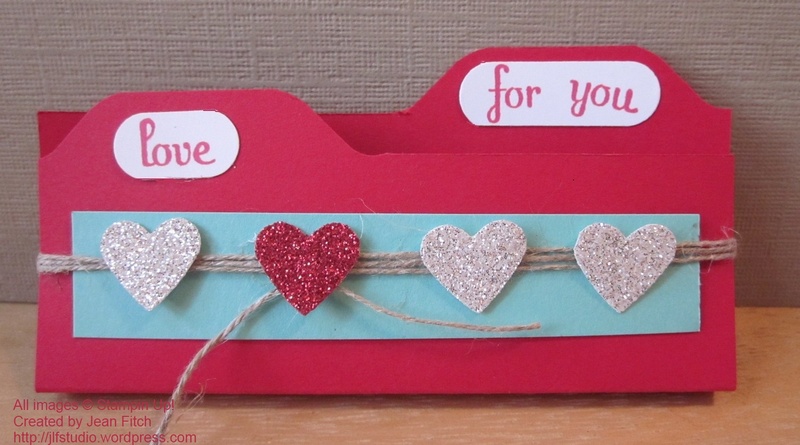 Punches: 1” Circle, Small Heart, Large Heart (ret), Bird Builder, Itty Bitty Punch Pack (ret), Word Window, Modern Label. You can substitute the newer Sweetheart Punch or the Heart Collection Framelits for the large heart and the current Itty Bitty Accents Punch Pak has a small heart in it. 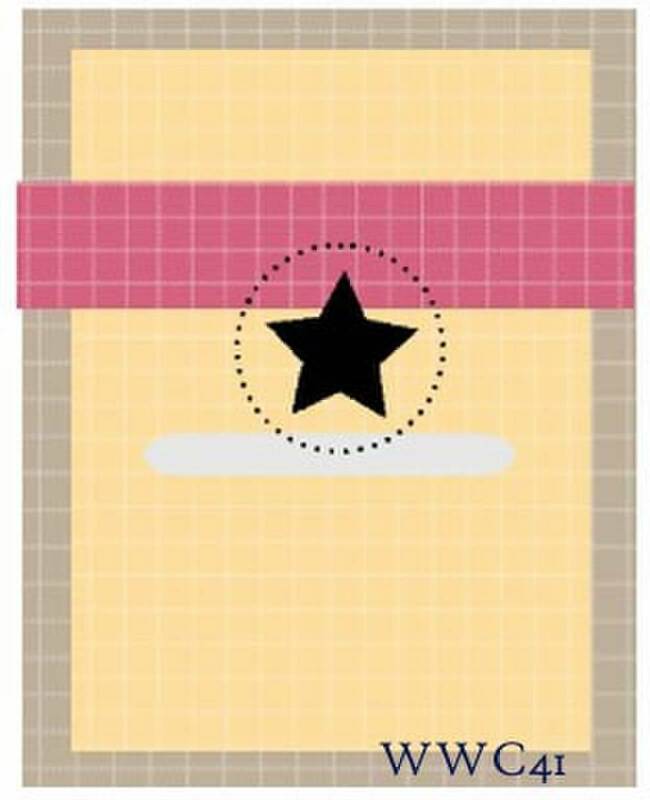 Other: Big Shot, Stripes Embossing Folder(ret. ), Simply Scored Scoring Tool, Diagonal Scoring Board. The Woodgrain, Argyle or other folder can be substituted if you don’t have Stripes folder. I’ve also provided my own set of written instructions that include the following close up pictures to help you see how the folds go together. A set of projects for next Saturdays Stamp Camp in Central Point, Oregon that will highlight a variety of specialized stamping tools such as the Gift Box Punch Board and a Ttrifold card with a die cut window to show off my newest stamp set Sheltering Tree from the Occasions Catalog. A group affair with my upline and Sideline (we run our monthly events in partnership) and our customers – a fun group of ladies (and the occasional gent) who love stamping and fun food (thus our famous potluck!). A tad tricky to plan since the event is on Valentine’s Day but doesn’t specifically focus on that occasion though we will be making the latest Paper Pumpkin Valentine Treat that should be very fun as one of the bonus projects. Of course I always have projects from a variety of sources and schemes in progress. Just hopping from blog to blog seems to add to the inspiration. Not to mention viewing catalogs, videos and the many inspiring stamping products out there. 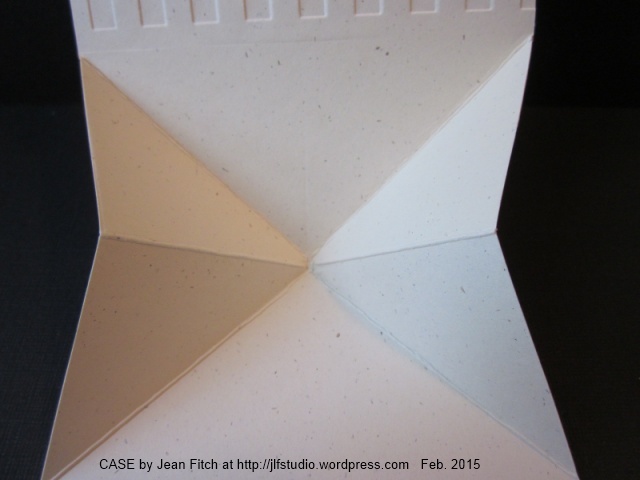 In the back of my mind I’ve been working on a new fold idea but that’s still in the trial stage in odd moments. I’m not entirely sure that it does overall. Though in general I go for simplicity of line and fairly uncluttered in style. I love to work in so many styles and with so many techniques it’s always a guess what you will find on my work table. I find inspiration online, in catalogs and just dreaming at night – surely at least one of you reading also dreams stamping and stamp project designs right? Please tell me I’m not the only obsessed stamper who can’t stop designing when the eyes close and slumber begins. My friends will tell you that one of my favorite things is to have someone ask…what can I do with…. (insert stamp set, die or other stamping equipment)…and I’m off to the races with ideas. Some practical…some not so much but always a fun endeavor. Another favorite thing is to see what’s sitting on my table in the way of unused bits and pieces and see what I can create…rather like one of those Craft Wars shows with limited supplies. At the moment I’m entirely enchanted with folds and different die cutting techniques not to mention trying to see original ways to use every image in a stamp set for any and all occasions. Trust me…it CAN be done! Joy. The joy of the creative process and the rush it brings as well as the joy found in sharing that same creativity with another person. I’m also a spinner and weaver among many other fiber crafts and the sheer joy of working with color and texture (whether fiber or paper or other medium) makes me happy most days. I never thought of myself as a creative artistic type person since I can’t paint or draw worth a darn though I do a mean doodle in the margins of many papers if you won’t think I’m bragging. Writing yes…or music…that makes me feel creative but art…nope that wasn’t me. Then I discovered my passion for color and texture in the fiber arts and I was on my way. 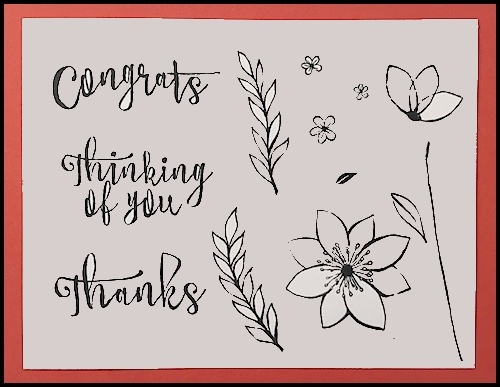 A troll through a magazine introduced me to Stampin’ Up and the world of paper crafting planted itself in my heart and mind and I’ve never looked back. I’m still growing in all my creative endeavors and mediums. If you’d seen my early work compared to today you’d see what I mean and hopefully see the joy involved. Whether starting out or continuing down the road it all comes back to joy! If an original idea doesn’t spring to mind I may surf through various online galleries, blogs, Pinterest and so on and see what that sparks. That may end up with my doing a direct CASE (with a few changes of stamps, punches and so on – or not) or seeing something that sparks an aha moment of original or semi original creativity. Funny thing is, I’ve discovered over the years that just like knitting where I think I’ve come up with a brilliant (and original) new stitch pattern…I discover it was out there all along I just didn’t know it. It’s still satisfying to make something to your own design, believe it’s yours, share it with the world and then discover that others had the same thought at the seemingly same moment. How cool is that…perhaps a collective unconscious that brings it to the top all across the planet? However you want to explain it…it happens more than you might think and each person has experienced the creative original moment many times with no other inputs than their own imaginings. In a world of CASE that may not always be easy to verify but I believe it happens…because I’ve experienced it. In a sense the wheel was always there waiting to be brought forth…whether from a scientists mind or the mind of one who has watched a rock roll end over end and said aha…and it has been created and recreated in one form or another, in one culture or another…over and over again. Hm…was Eve a CASE of Adam…or a totally original creation…or just descended from a chimp template…you decide. However it worked…there was a creative impulse that allowed for unique differences and was an expression of Joy! I hope you’ll go out today and discover your own creative impulses that lead you to joy. In whatever medium you choose…remember the fun of those early days when finger painting anything and everything was all about the paint, fingers and a certain amount of creative mess on the paper that could be anything you dreamed. I don’t know about you…but I still have one of my kindergarten finger paintings (my Mom framed it) and I still see many things in it’s now fading colors and curves and it brings me joy to connect with that younger self who didn’t worry about ART in capital letters but was busy learning the art of creativity and joy at it’s simple best! The next participants in the hop are my good friends and former hop buddies (anyone else remember the Hanukkah Hop with fondness from a couple of years ago?) Miriam Permut and Andi Potler. Both will be posting their amazing projects on February 16th. I can’t wait to see what they have to share. Here’s where you will find them. Trust me…if you aren’t blog followers now…you will want to sign up with both these talented ladies after perusing their blogs. Enjoy the rest of the ongoing hop. The Wacky Watercooler March Blog Hop – Anything Goes! Welcome everyone to the Wacky Watercooler March Blog Hop. This month…Anything Goes! If it’s current we’re featuring it. The Wacky Watercooler people are an international crew so don’t be surprised if you see a few different spellings and price guides along the way. The Occasions Catalog & Sale-a-Bration are still going and if you want some inspiration along those lines check out our last couple of hops here and here. 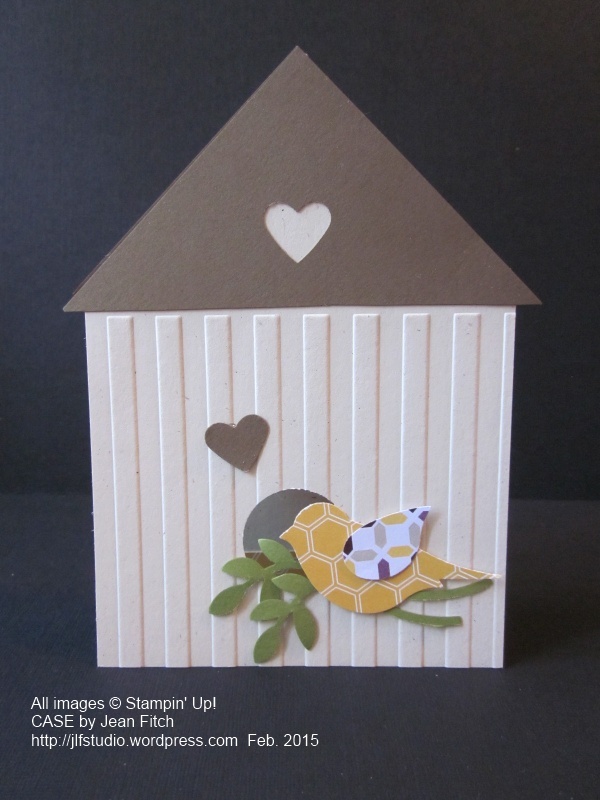 If you are moving in hop order you’ve arrived from the very talented Heidi Weaver’s blog. Heidi’s always the first on my list to check every day – her projects never fail to excite me. You’ll definitely want to go back and check her past posts after the hop. If you are working in reverse order weren’t your socks knocked off by Jeanne’s wonderful projects? Jeanne is our American living in Germany addition to our Watercooler Hop schedule as well as a dear friend I discovered through stamping and hers is another blog to investigate after the hop for sure! Her cooking and family stories and what can I say…wacky style will keep you scrolling for hours. However you are viewing the hop we’ve built it in a circle so you can join and hop on and off at will. If you get lost just click the hop banner or the home watercooler to get back to our hop home site with the list of participants. You may want to keep an eye on that site in between blog hops as we have plans to post somewhat regularly there too. 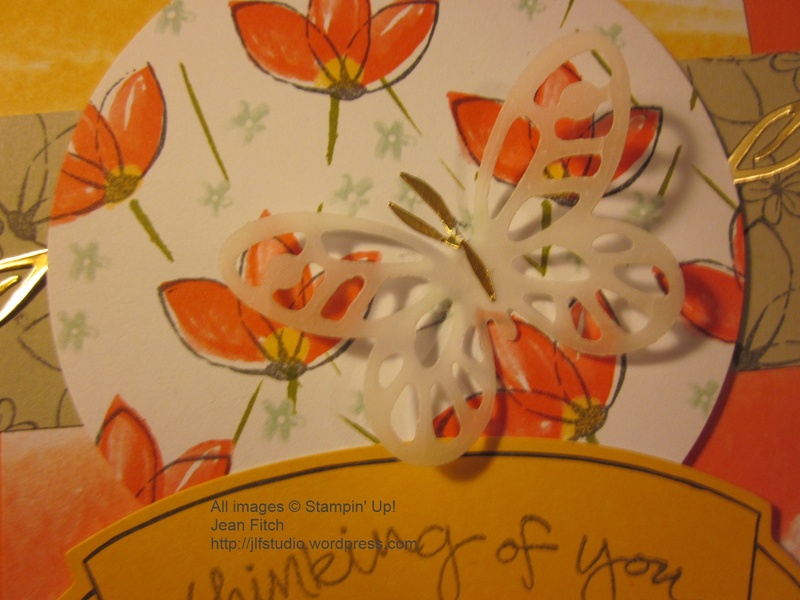 Have I mentioned that I love the new Stampin’ Up! Envelope Punch Board? Yep…it’s my latest heart throb. I can’t stop making and inventing things with it. I’ve even created a Pinterest Board here with a steadily growing set of projects to CASE. 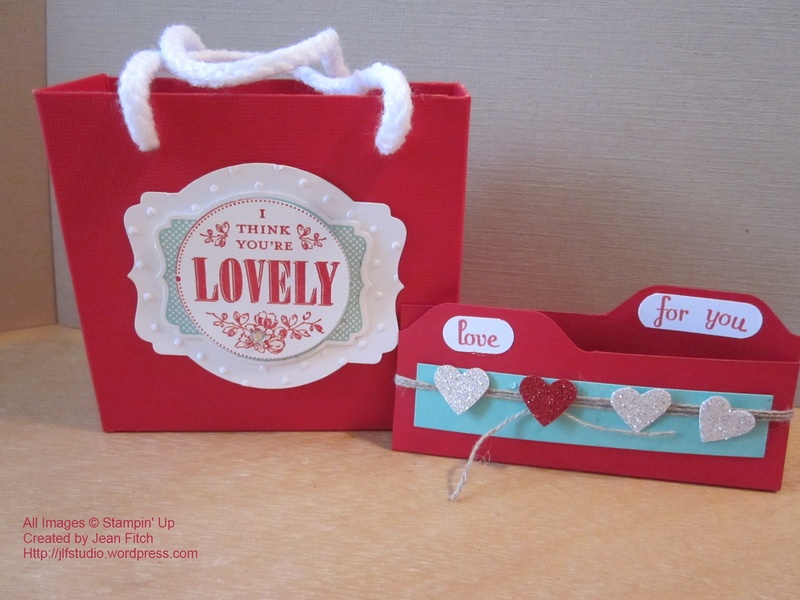 And that lovely punch board makes this basket so very, very easy! The little basket is a CASE more or less from a fellow demo and you can find more information in this pin. This is another one of those projects that I’m prepping a tutorial for and that you’ll find yourself wanting to make over and over for many occasions. Here’s another Lattice Cross project and a link to a quick tutorial/template for the cross part of it. 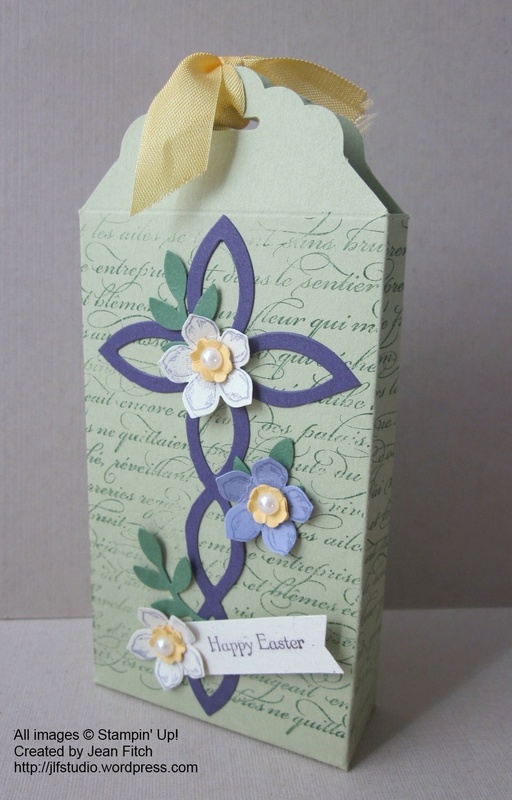 This time I’m also using the Scallop Tag Topper punch that would also fit as part of the grouping above. Can you tell I’m in love with the Petite Petals punch & stamp set? Not to mention the En Francais background stamp? I’ll have a picture tutorial available for this little darling next week. Just one more picture to take and it’s done! I think you’ll be surprised at just how easy this box is to make. Trust me when I say you’ll soon be addicted! 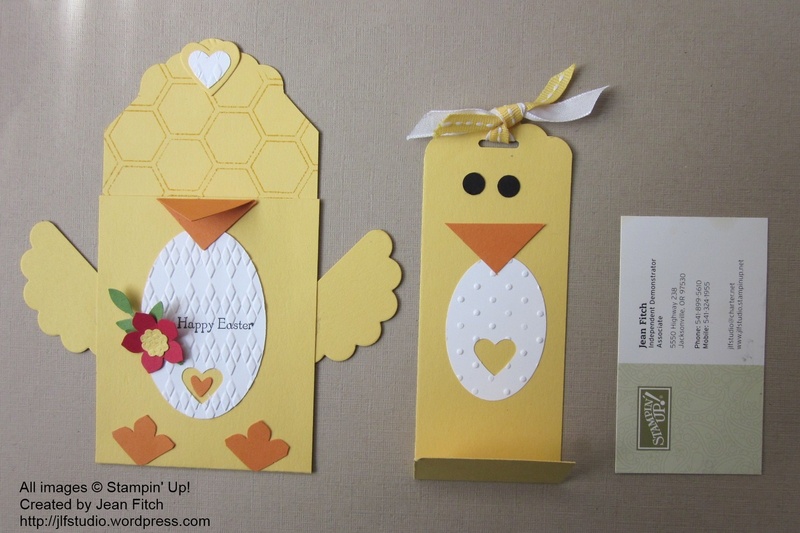 I think you’ll also see this hop that I’m hooked on the Scallop Tag Topper Punch as well. 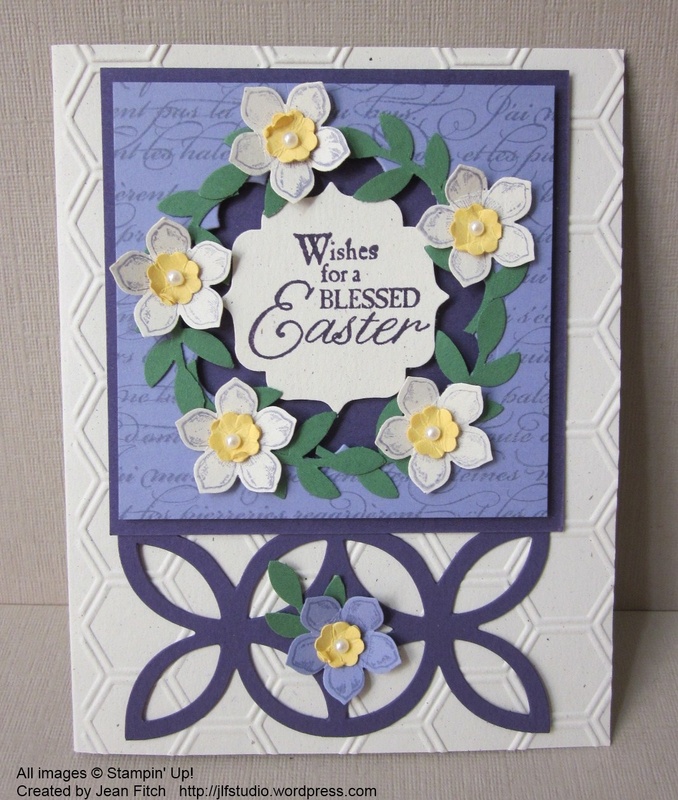 Other: Big Shot, Lattice Bigz die, Simply Scored Board, Paper Snips, Sticky Strip, Adhesives, Daffodil Delight Seam Binding, Pearl Basic Jewels. Next up is one I’m sending out at Passover this year. 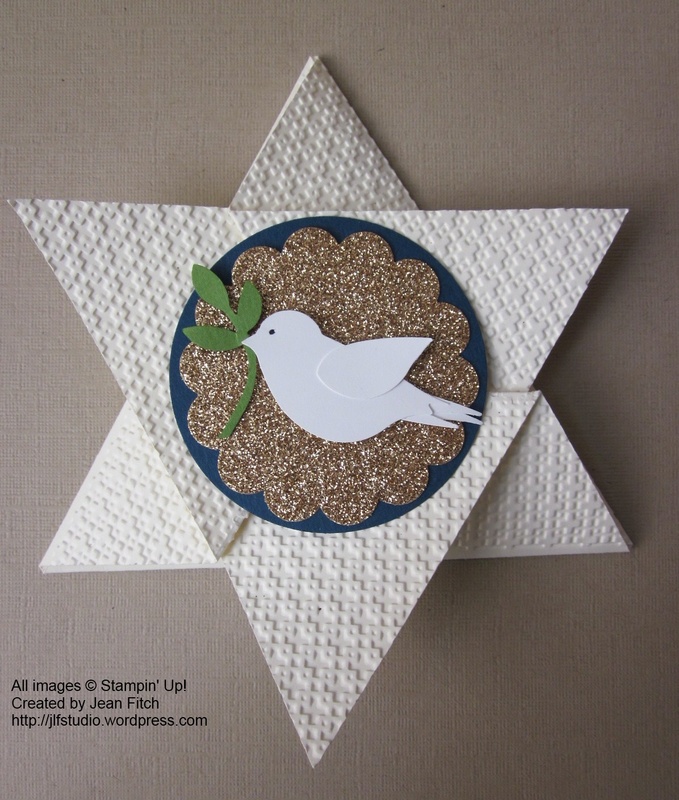 If you remember the Hanukkah Hop from a couple of years ago you’ll remember that I love these Star Fold cards. This time around I wanted the look and texture of matzo bread – a traditional accompaniment to a Seder meal. And the dove with olive branch is another potent symbol for this celebration. Just as Judaism predates and provides a foundation for Christianity so this year Passover is preceding Easter by just a few days. Appropriate don’t you think? I’ll be sharing more about this card later next week so if you want to see the inside and find links to a tutorial (the Hanukkah Hop link has a basic tutorial link) check back. 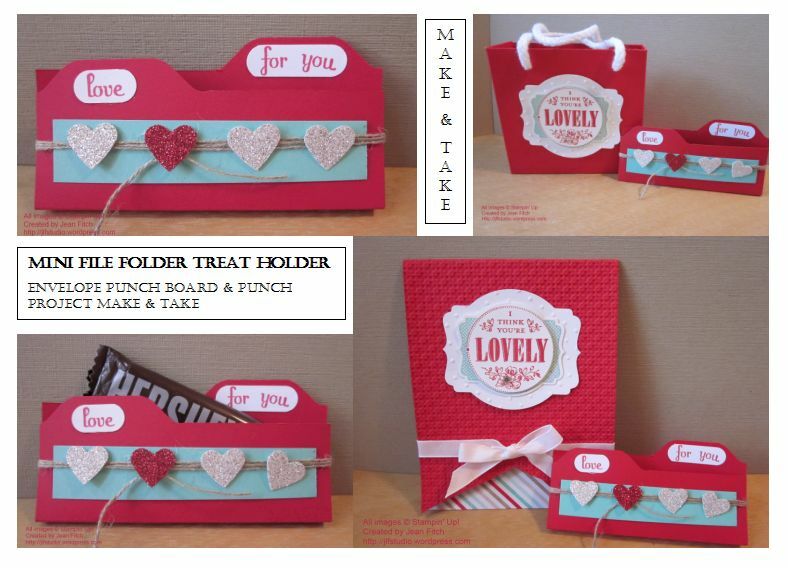 And lastly a quick look at a gift card/business card holder I’ve just created. I’ll have more details for this in a follow up post next week. Just thought you’d like a quick peek. Needless to say…I’m working on a tutorial for this one too. Since I just invented it last night it may just take another week to get it to you. 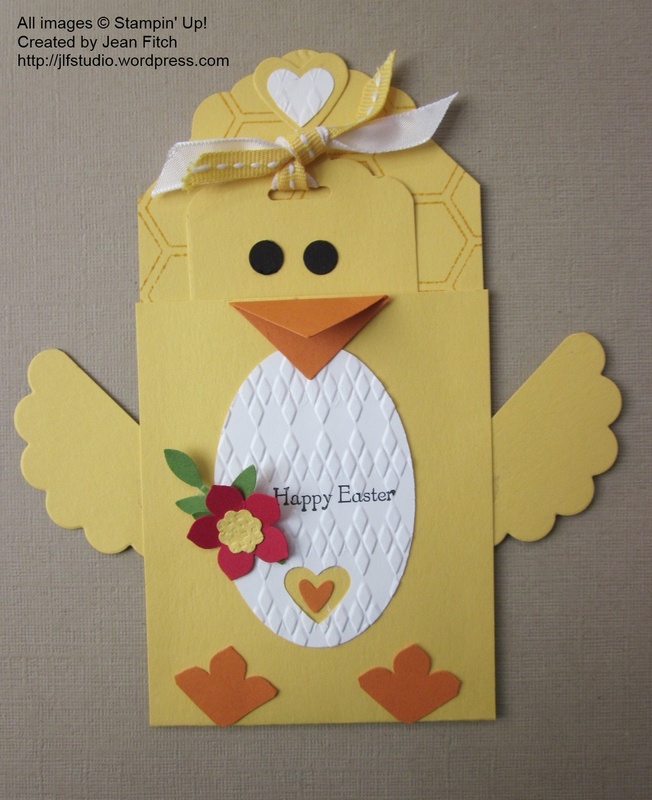 Still…in plenty of time for Easter. That’s it for my post for this third Watercooler Hop of 2014. Hop along now to see the rest of the fabulous hop entries and look for our Wacky Watercooler crew in the coming months as we create more new hops for your viewing and crafting pleasure. Click the watercooler buttons to find your way and may your Season of Sale-a-Bration (January 28th-March 31st) be filled with creativity, inspiration and of course lots of FREE new stamping stuff! I’ve had a few requests for a PDF of the recent hop projects I showed here. So cut and paste to the rescue as well as Open Office and its PDF generator and you’ll find pictures, supply lists and a few basic tips for completion to add to your CASE files. Hope that answers the requests. Hope too, you had a wonderful Valentine’s Day and fun time hopping with the Wacky Watercooler Crew. Don’t forget you can order any needed materials and earn your Sale-a-Bration rewards in my online store here. Welcome everyone to the Wacky Watercooler February Sale-a-Bration Blog Hop. We’re an international crew so don’t be surprised if you see a few different spellings and price guides along the way. To clear up any confusion…here in the States it takes a $50 purchase to earn a FREE Sale-a-Bration item…the pricing in other parts of the globe may vary so don’t be surprised if you see different listings in different catalogs from different countries during the hop. While we also have a nearly new Occasions Catalog(ue) as you saw in last month’s hop, today’s hop is focusing on Sale-a-Bration and all it’s awesome FREE goodies! Whoo hoo! Who doesn’t love FREE…right? If you haven’t seen the new Sale-a-Bration (SAB) catalog take a quick gander then jump right back into the hop. With all the inspiring hop projects you’ll see you’ll also want to keep a pen and order form handy so you can create your very own versions of what you see this weekend…and…earn FREE products while doing so! You’ve never before seen such a full Sale-a-Brations Catalog. Lots of inspiring samples, additional offers for hostesses and recruits and a few suggestions for other catalog products that will get you to that $50 goal. If you like the bundle listed there is even a simple and single order number…if you already have some of those items just add the items individually to create the “bundle” you do want to earn your FREE items. Here’s the U.S. 2014 Occasions Catalog you might like to select your $50 incremental purchases from so you can earn your FREE SAB merchandise. Of course any of our currently offered products and merchandise promotions will help you earn your way to FREE SAB product. If you are moving in hop order you’ve arrived from the very talented Jackie’s Jack Otter Stamp blog. I love the title of her blog…love Jackie too – her blog title really gives you a sense of her fun side. You’ll definitely want to go back and check her past posts after the hop. If you are working in reverse order weren’t your socks knocked off by Susan’s wonderful projects? 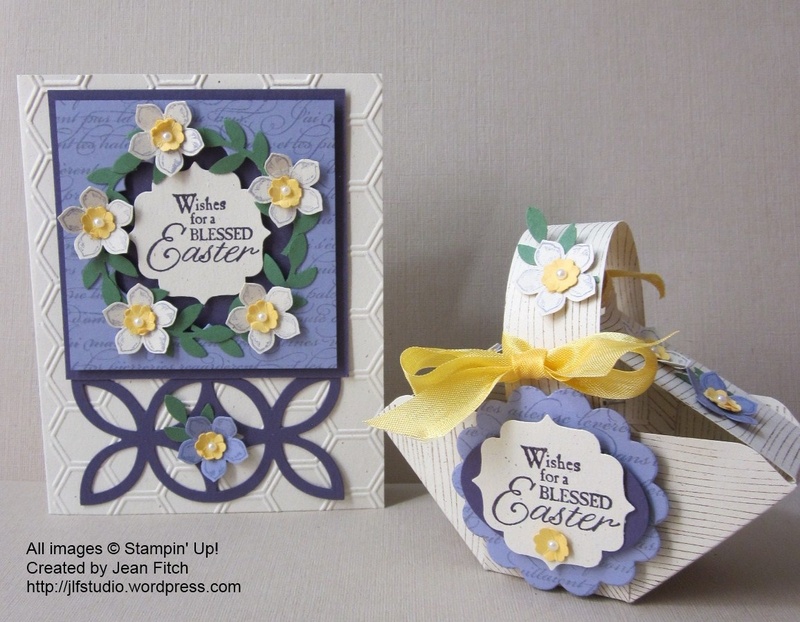 Susan is a wonderful new addition to our Watercooler Hop schedule as well as a dear friend I discovered through stamping and hers is another blog to investigate after the hop for sure! As I mentioned last hop… in this new year…I’m keeping it fresh & simple with designs you can create quickly and cleanly…you can even prep some pieces ahead so when you are ready to sit down and create it will literally only take you minutes. Today’s trio of hop projects illustrates that perfectly. With February being notorious for crisp clear colors like red and white (well Valentine’s as well as Winter probably has something to do with that color set) I’ve chosen to go Real Red, Whisper White and a hint of one of our latest In Colors – Coastal Cabana. All three projects work well together as a set or for individual uses. The designs also adapt themselves to pretty much any color scheme all year round. Edited to Add: I’ve had a few requests for a PDF for this set of projects so I’ve put together a very basic collection of the pictures, supply lists and basic tips. You can download it here. First up is a sweet little box/bag. 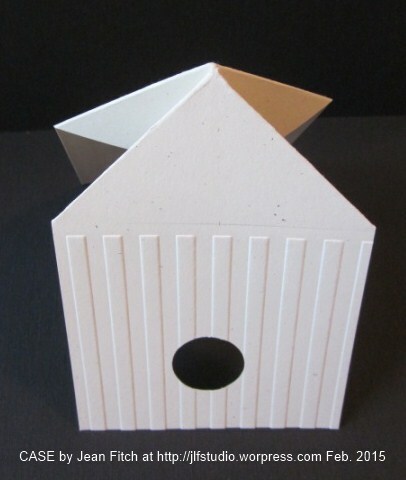 Practical too as you can get 2 box/bags out of a single sheet of 12″ x 12″ cardstock or Designer Series Paper. I found the perfect tutorial on a fellow demo’s blog and of course quickly pinned it to my Pinterest Simply Score Board. You can see it here. Thanks Jill for taking the math work out of this fun creation. Just score, fold, adhere, add handles and go. I’ve substituted the Sweater Trim from the Clearance Rack (yes those reduced price purchases also qualify you for free merchandise from SAB) for the Cotton Ribbon Jill used. This size is so handy for a variety of treats and gifts that you may want to keep several on hand in a variety of colors ready for quick decoration for any occasion. I like to keep them folded flat but scored and then just add Sticky Strip for a quick construction and decoration. Other: Big Shot, Deco Labels Collection Framelits, 1 ¾” Circle Punch, Stampin’ Dimensionals, Basic Rhinestones, Whisper White Sweater Trim (Clearance Rack), Simply Scored, Bone folder, Crop-a-Dile. Shown points down so you can see the banner effect. I’ve had my eye on a creating a banner style card for some time now. It’s filled my thoughts, my sketches and even my dreams…lots of them. With hop, it seemed today was the day! Now that I’ve done one I can see more in my future. Lots of fun and very easy. I’m also hoping that having made one my dream self will be satisfied that I won’t forget how to do these. Details: Measure to the halfway point on your card, make a mark. Then draw a line straight up from that mark to the height you want for your banner indent. Then using either your trimmer or long bladed pair of Craft Scissors cut from the corner point to that end point of your indent mark. Do that for both sides and Voila! 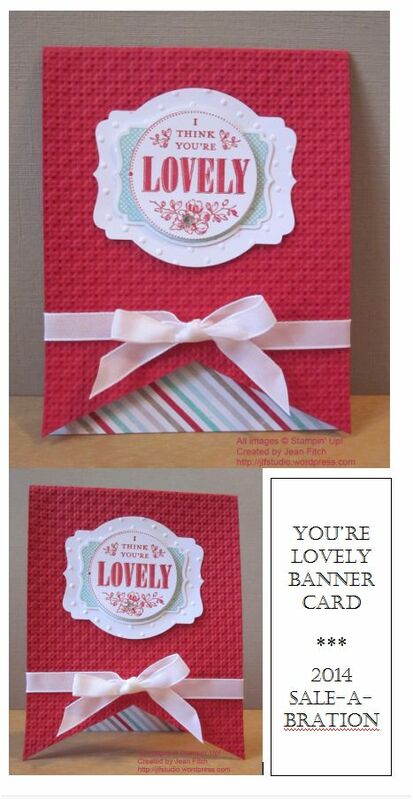 A banner card. A bit of contrasting color on the inside so the banner points show up clearly and you are ready with your banner card base. Add decoration and there you have it. A simple but effective design anyone of any gender will enjoy. One note about embossing the front of the card. Some folders including the Square Lattice will shrink the front edge of your card back just a bit so you may want to wait to score the card’s fold until after you’ve embossed the front end unless you enjoy fixing boo boo’s with the trimmer. Uh huh…ask me how I learned this tip. Sigh…. Other: Big Shot, Square Lattice Embossing folder, Deco Labels Collection Framelits, 1 ¾” Circle Punch, Stampin’ Dimensionals, Basic Rhinestones, Whisper White 3/8″ Taffeta Ribbon, Simply Scored, Bone folder. 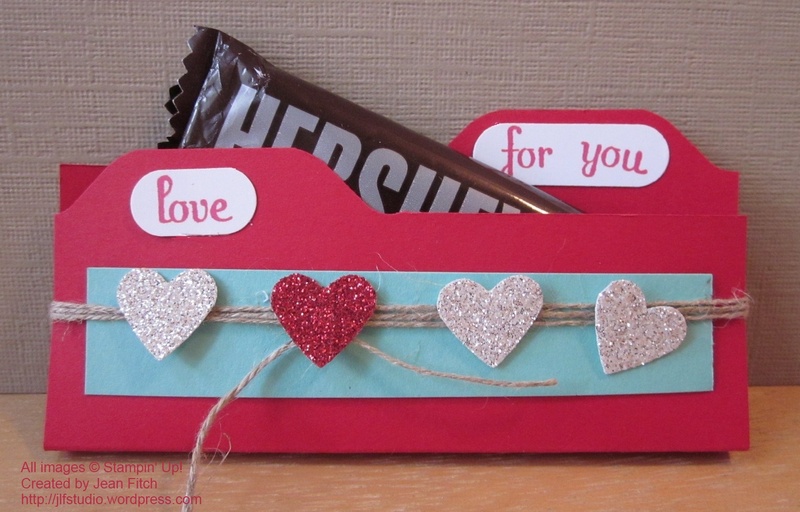 Last and perhaps simplest yet….a mini file folder that holds a Hershey’s treat. If it’s Feb. 13 and your darling daughter or son just asked you for Valentine’s treats for school this may be your life saver. Otherwise it’s a nice treat to drop in a lunch or place on a coworkers desk. Nice on a pillow too! 😀 If you want to kick it up a notch you could run the Coastal Cabana piece through the Adorning Accents mini hearts embossing folder. Of course I thought that might be just a bit too precious for the boy this folder is destined for. 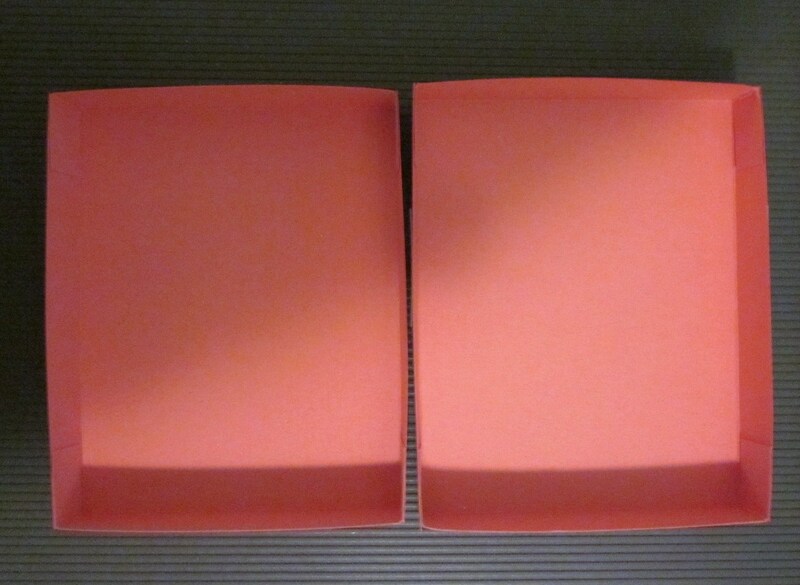 Paper: Real Red, Whisper White & Coastal Cabana Cardstocks. Silver & Red Glimmer Papers. 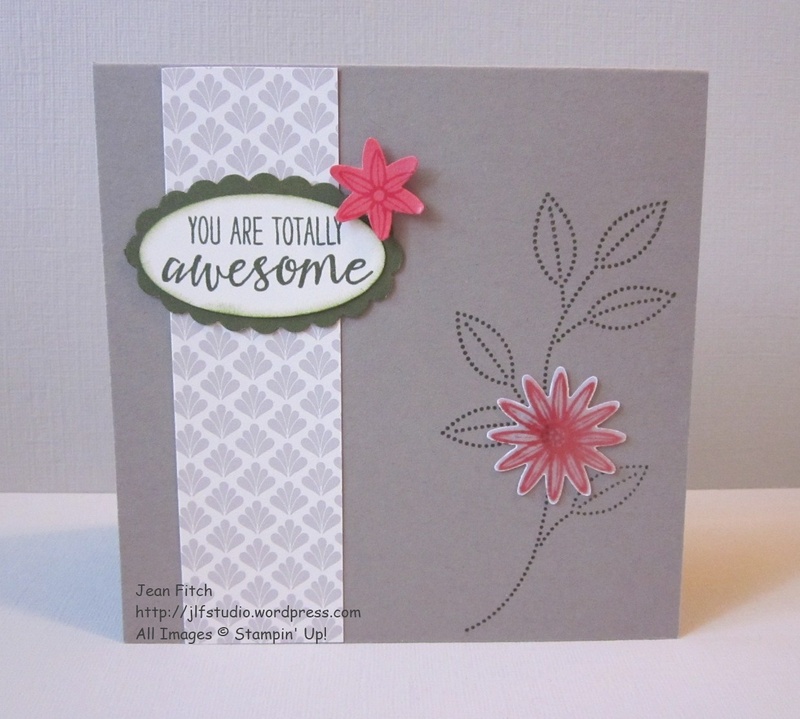 Have I mentioned that I love the new Stampin’ Up! Envelope Punch Board? Yep…it’s my latest heart throb. I’ve even created a Pinterest Board here with a steadily growing set of projects to CASE. Note: After I completed my project I discovered another demo had made a fun video showing much the same thing (don’t you love it when great minds think alike?) and that might help you see the steps. Our measurements and candy choice are different but sometimes seeing the process makes it easier to follow a description. You can find my pin of Becky’s post and video here. Just click the Pinterest pin’s picture and you’ll be right where you can see it all. That’s it for my post for this second Watercooler Hop of 2014. Hop along now to see the rest of the fabulous hop entries and look for our Wacky Watercooler crew in the coming months as we create more new hops for your viewing and crafting pleasure. Click the watercooler buttons to find your way and may your Season of Sale-a-Bration (January 28th-March 31st) be filled with creativity, inspiration and of course lots of FREE new stamping stuff! Today’s post features a guest artist. My Stampin’ Up partner and sideline Linda Miller. 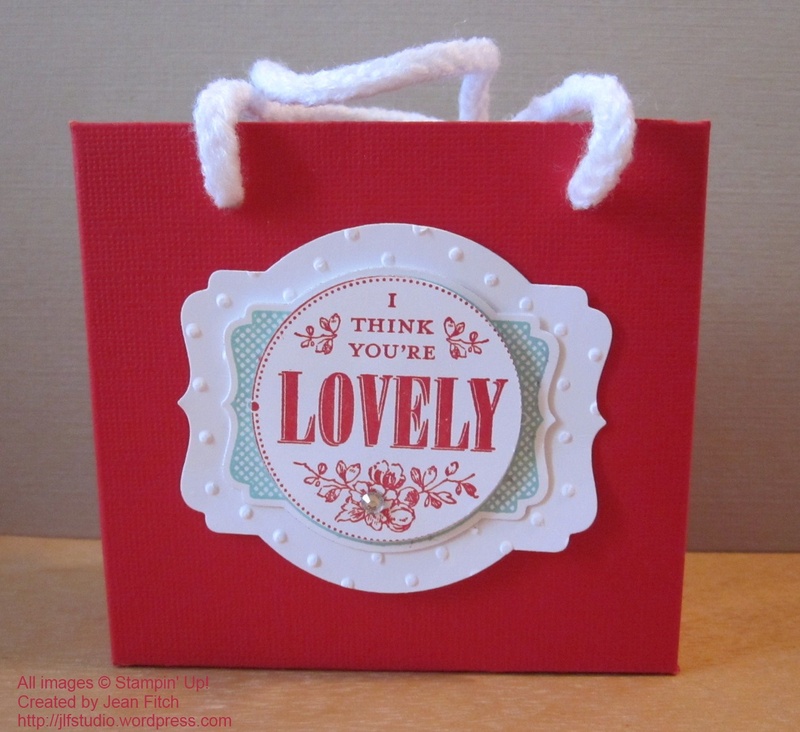 Linda has been a Stampin’ Up demonstrator for over a decade and her talent shows through in all her projects. Linda, myself and our wonderful upline Cheryl do monthly events together here in the Medford/Central Point area. Lots of fun with local stampers who are also friends. And best of all Linda herself comes as part of a team. Linda’s Mom Jean comes and runs our regular potluck for us in between overseeing the Church garden. Her additions to the potluck (this time of year featuring garden produce) and her oversight of the kitchen is a real labor of love. Love of her daughter and daughter’s friends and love of stamping and cards. I’ve been blessed to find myself another “other mom” in Jean. And a sister of the heart in Linda (Cheryl too for that matter). Wonderful how many hands make light work isn’t it? A variation on a Z fold card. The ribbon is a retired Basic Gray one but everything else is current. And don’t you love the pearl accents? 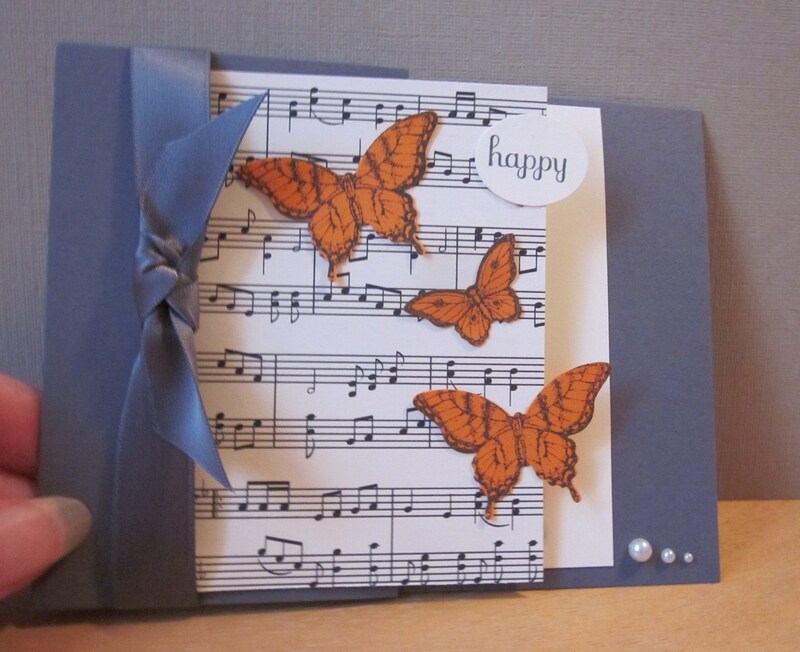 Adds to the elegance of the card. 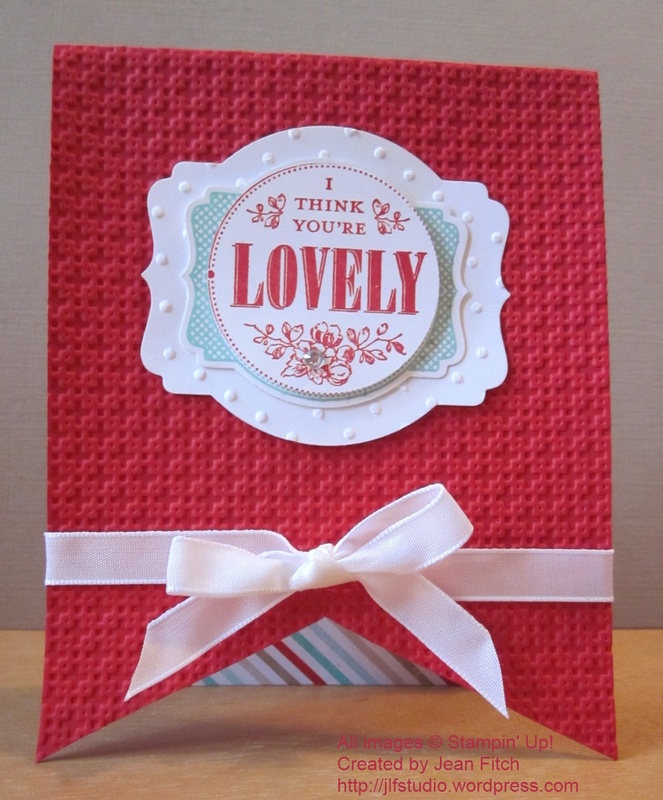 This is one card that is designed to make the heart sing! Yep…a bad pun what with the musical notes on the designer series paper. 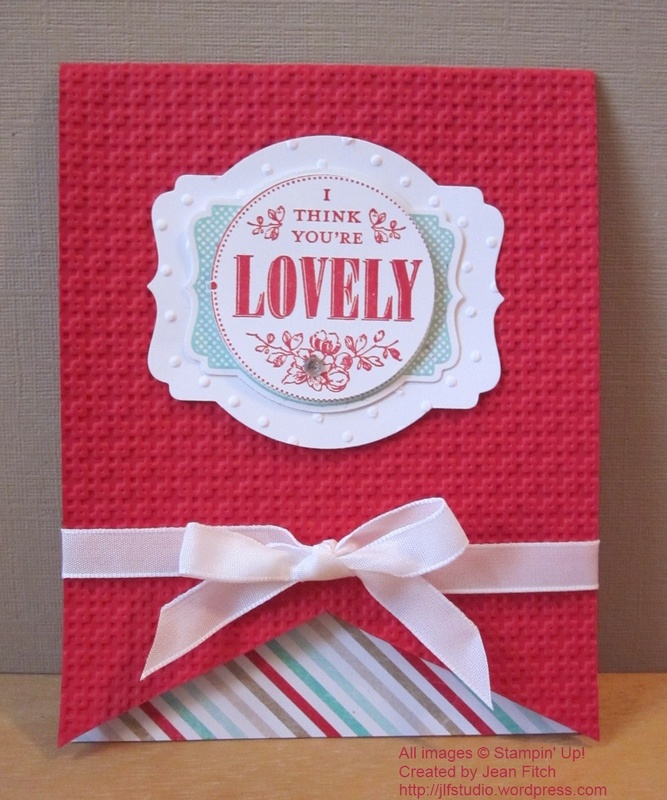 Simple and quick to make – always my favorite type of card. 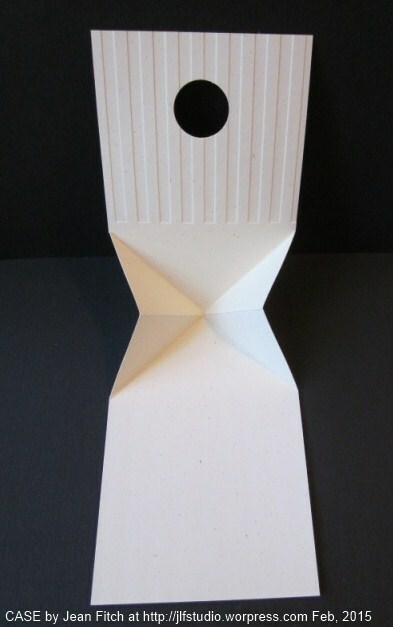 You can find a tutorial for a somewhat similar Z fold here. 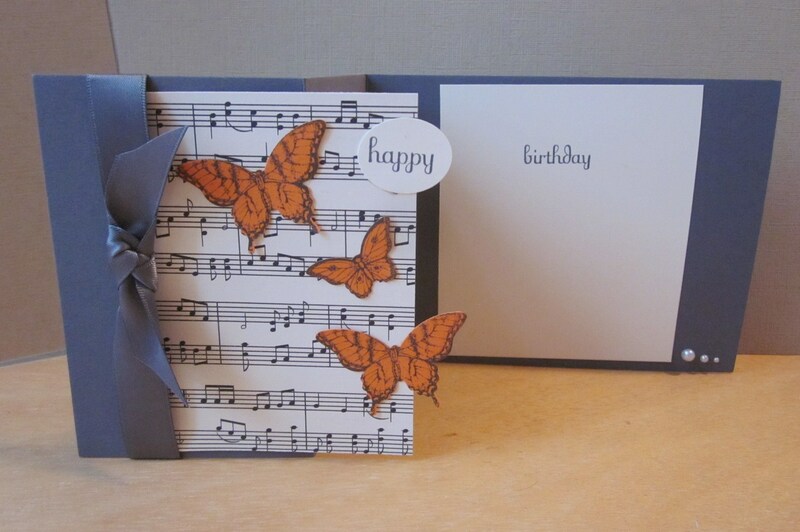 Paper: Basic Gray & Very Vanilla Cardstock, Modern Medley Designer Series Paper (the music). One note: If you don’t have the Modern Medley DSP you can always use the Music Notes Wheel to create your very own musical score. In fact several wheels would work in this design. If you have any questions for Linda about her project you can contact her through her Demonstrator Business Website here. Thanks again Linda for being a guest artist.